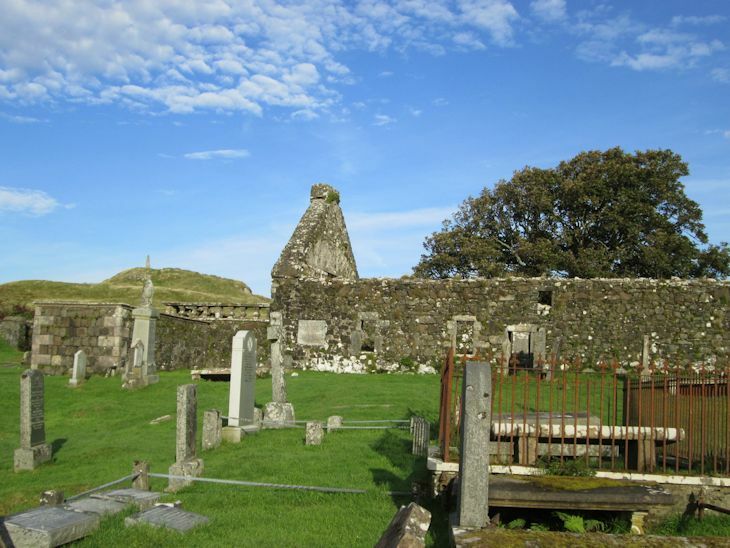 This old burial ground sits on a hillside next to the main road to Portee out of Dunvegan. The church was superseded by Duirinish Parish Church in 1832. On the top of the hill behind is a tall standing stone erected by the community to celebrate the 2000 Millennium.